In another thread I asked about raising the 2nd SS up from the drop out on a Mixte frame. I got that figured out. 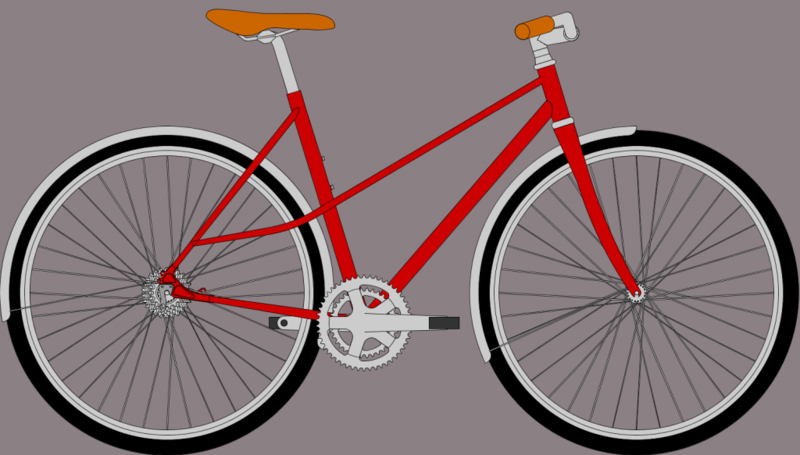 When I open up the old drawing and click on the drop out palett I see Seat Stays 1 + Seat Stay 2. If I change the drop-down menu from "Define by parameters" to "Define by static drawing" the options change to Drive Side + Non-drive side. Now, if I change it back to "Define by parameters" I only see "Drive Side + Non-drive Side. The palett doesn't change back to Seat Stays 1 + Seat Stays 2. My goal was to see this drawing with Paragon low-mount drop outs (DR0026) but that doesn't work. Can you confirm if it's not possible with the current build? It is still possible to use the Paragon low-mount dropouts on a mixte with extra seat stays mounted somewhere along the length of the initial pair of seat stays. There is some tricky behaviour that can complicate things. This behaviour is not new to version 14.0. However, it is something I will try to change in the next update. As you've noticed, the input fields controlling the end points for the second set of seat stays and chain stays will become greyed out when you switch from "Define by parameters" to "Define by static drawings". However, you can regain access to these input fields by switching the seat stay menu to "Symmetric" and then back to "Symmetric (Double)". I've done this with the model from my previous example at: bikecad.ca/1541733532802.